Tomorrow the baby’s is going to be painted, so I spent some time this evening prepping the room: taking down blinds, removing electrical covers, and moving furniture to the center of the room. I also spent some time working in the garage building a valence for the room. Three cuts and a handful of nail gun nails and the job was done. Now I’ve got to wrap in with some padding and cloth that matches the other items in the room. 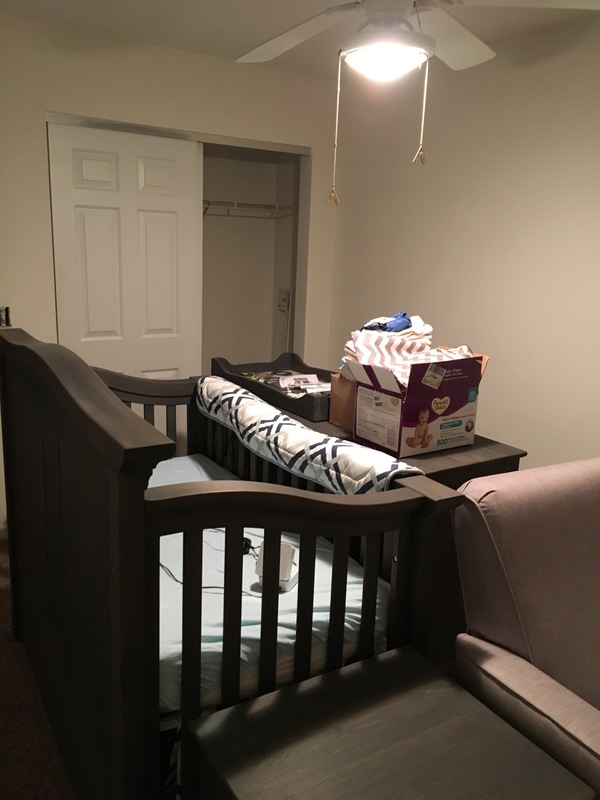 Once installed, along with blackout curtains, it will make the room extremely dark; perfect for multiple naps for a newborn.